The Soundbyte: Carmenère is often called “the lost grape of Bordeaux” and was widely planted in Bordeaux in the years before phylloxera. However, in the 1880’s as phylloxera ravaged the vineyards of Europe and all the vines needed to be re-planted, Carmenère resisted grafting and was essentially forgotten. Many of the original vinifera vines planted in Chile were brought from Bordeaux during the mid-1800s, as phylloxera was ravaging the old world. Along with its better-known cousins such as Cabernet Sauvignon, Sauvignon Blanc, and Merlot, Carmenère arrived in Chile at the same time. Carmenère thrived in Chile, where it was often mistaken for Merlot in the vineyard. In fact, much of what was bottled as a particularly spicy style of Chilean Merlot—Merlot Chileno—before 1994 quite possibly contained quite a bit of Carmenère. The mystery was solved in 1994 when Professor John-Michel Boursiquot of the Montpellier School of Oenology noticed the distinctive character of Chilean Merlot and soon confirmed that much of what was considered to be Chilean “Merlot” was actually Carmenère. 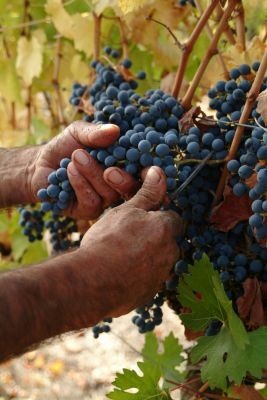 In the vineyard, Carmenère is often the last grape to be picked, and it requires a lengthy season to reach full maturity. Therefore, it is not well suited to many parts of Bordeaux—but in the right areas it can produce great wines. Chilean Carmenère is rich in color, redolent of red fruits, spice, and berries, and has softer tannins than Cabernet Sauvignon. Many consider Carmenère to be the signature grape of Chile. 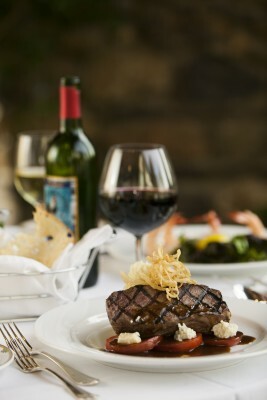 Rich with dark fruit flavors of ripe berries and plum. Firm structure, full body and heavy tannins; lush, velvety texture. Deep, dark color. This is a “big red wine”! Underripe Carmenère, or grapes from a cool growing season, can have a vegetative “green bell pepper” aroma or flavor. Carmenère takes longer to ripen than other red grapes, so be on the look-out for these flavors. 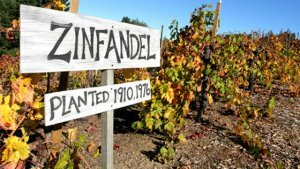 Zinfandel used to be known as “California’s Mystery Grape,” as an old-timey legend says that Zinfandel vines of the vitis vinifera species were growing happily in California before European settlement of the New World. This was fun to believe for a while, but today we know better, and it is believed that today’s Zinfandel traveled from Croatia to Vienna during the Habsburg Monarchy’s rule over Croatia. Some cuttings ended up in the Imperial Nursery in Vienna, and from there were sent to a horticulturist in Long Island, who sent some vines out to California, where Italian immigrants working the gold rush appreciated the grape’s sturdy, robust style and planted them with enthusiasm, only to abandon their vineyards when the gold rush fizzled out. These vineyards, and their mystery grapes, were then rediscovered years later with the post-prohibition wave of California winemakers. Quite a story, right? DNA fingerprinting has revealed that today’s Zinfandel is genetically equivalent to the Crljenak Kaštelanski grape of Croatia and either identical to or very-very-very closely related to the well-known Croatian grape known as Plavac Mali. Zinfandel is also either identical to—or very closely related to—Primitivo, as grown in Puglia. Wherever it came from and whatever you call it, Zinfandel has proved itself as a hardworking, heat-seeking, robust grape. 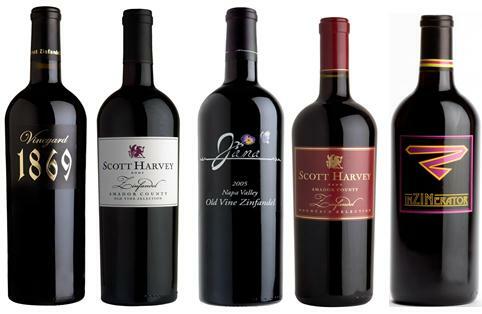 Fruit-forward, intense fruit flavors…the aromas and flavors of blackberry, cherry and plum are quite recognizable. In my wine tastings I generally introduce Zin as “Blackberry/Black Pepper/Black Licorice.” It’s a pretty good Zin cliché. 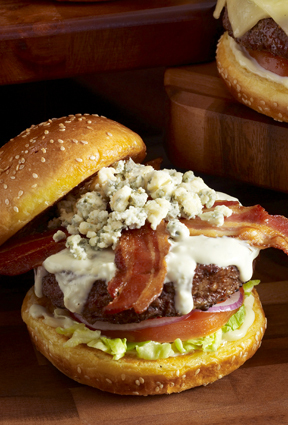 Medium to high alcohol…sometimes 15% or more. Medium to full body; more likley towards the full. Medium to high tannin combined with lively acidity. Warm weather growing areas can mellow the tannins to the velvety type, but they remain quite high. 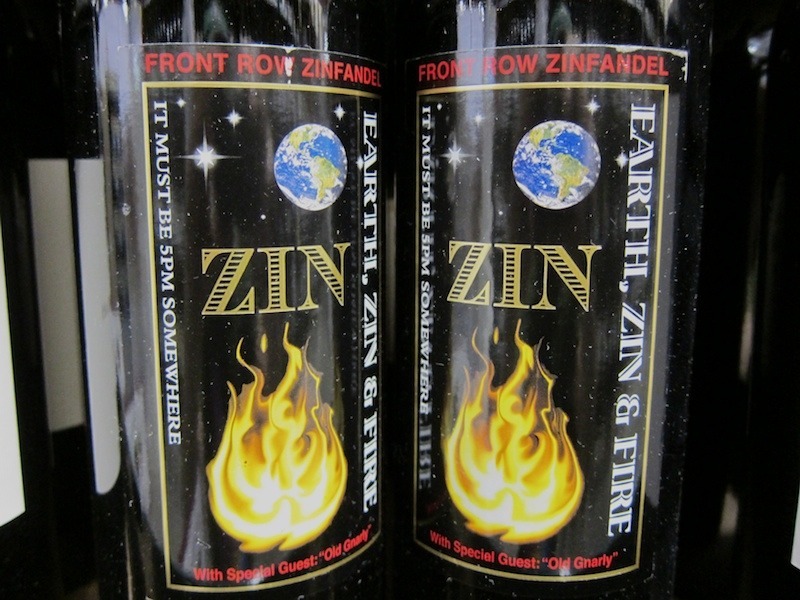 Red Zinfandel’s spice, fruit, and acidity make it a very food friendly wine. Yes….the Zinfandel grape can be made in the “White Zinfandel” style. To make white zinfandel, the wine is allowed to ferment on the intensely colored red grape skins for a day or two, just until the juice turns a light pink color. At this time, the juice is pressed off the grape skins while the fermentation process finishes. While it is true that your Mama’s White Zinfandel most likely had a touch of residual sugar and this style remains popular today, Zinfandel is also made into crisp, dry, serious rosé. Late harvest Zinfandel is often made into a luscious, complex dessert wine; one of my favorites is “Zinnie de Potelle” by Chateau Potelle. 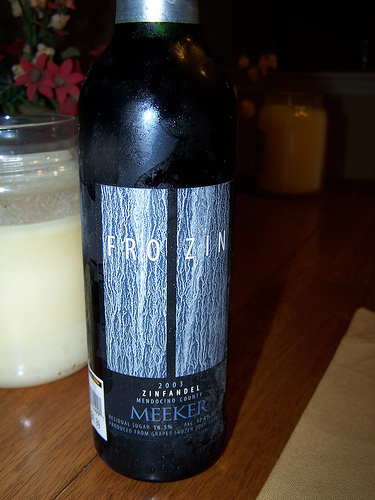 Some winemakers freeze their late harvest (or regular harvest) Zinfandel grapes to make to make “ice wine-style” dessert wines, often with cute-cute-cute names such as “Fro-Zin”. 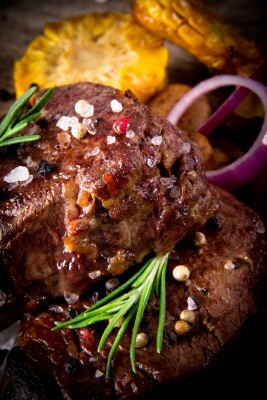 Spicy, Slightly Sweet Foods like Barbeque Sauce or Hoisin Sauce. Chocolate – which many people love, but most folks will recommend that you stick to the sweet versions of Zin for dessert.